Located on the shore of Lake Erie, just west of Port Clinton, it’s an 80-mile drive from Cleveland or 40 miles from Toledo. 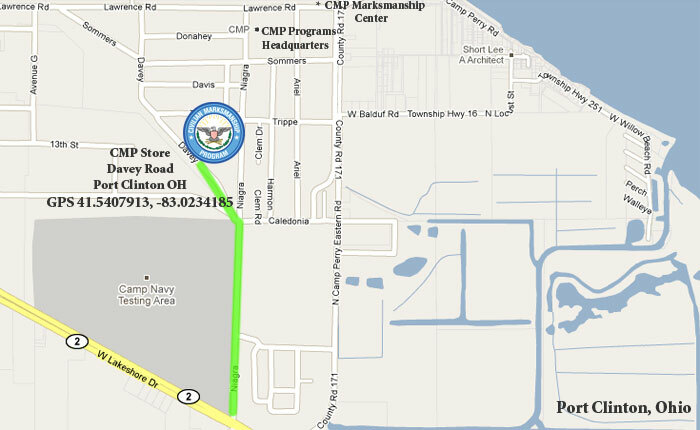 CMP North at Camp Perry’s Ohio National Guard training site is in the heart of vacation-land, near Cedar Point amusement park, the Lake Erie islands and the walleye fishing capital of Ohio. From Cleveland Airport - Get on I480 West, until you get to I80 (Ohio Turnpike). Take I80 West for one exit, to Elyria. Get off the turnpike, and go North on Rt57, to SR2. Take SR2 West, and travel for approximately 59 miles, until you cross the Portage River. Approximately 1 mile after you cross the Portage River, you will come upon railroad tracks with lights. Turn right here, between the 2 stone lighthouses. 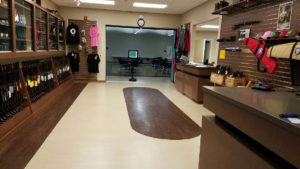 Once you get to the first stop sign turn left, the store will be directly in front of you, Bldg 2500. From Columbus Airport - Take I270 North to US23 N. Follow US23 N to SR4, at SR4, go north approximately 52 miles to SR2. Go West on SR2 for about 25 miles. Approximately 1 mile after you cross the Portage River, you will come upon railroad tracks with lights. Turn right here, between the 2 stone lighthouses. 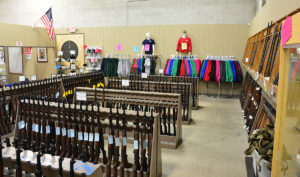 Once you get to the first stop sign turn left, the store will be directly in front of you, Bldg 2500. From Toledo Express Airport - Take the Ohio Turnpike East for 39 miles, to Fremont, exit 91. Go North on SR 53, for 10 Miles to SR2. Get on SR2 West, and go 2 ½ - 3 miles. You will see 2 stone lighthouses on your right, this is the entrance to Camp Perry, turn right, here. Once you get to the first stop sign turn left, the store will be directly in front of you, Bldg 2500.